Hello Stamping Friends! 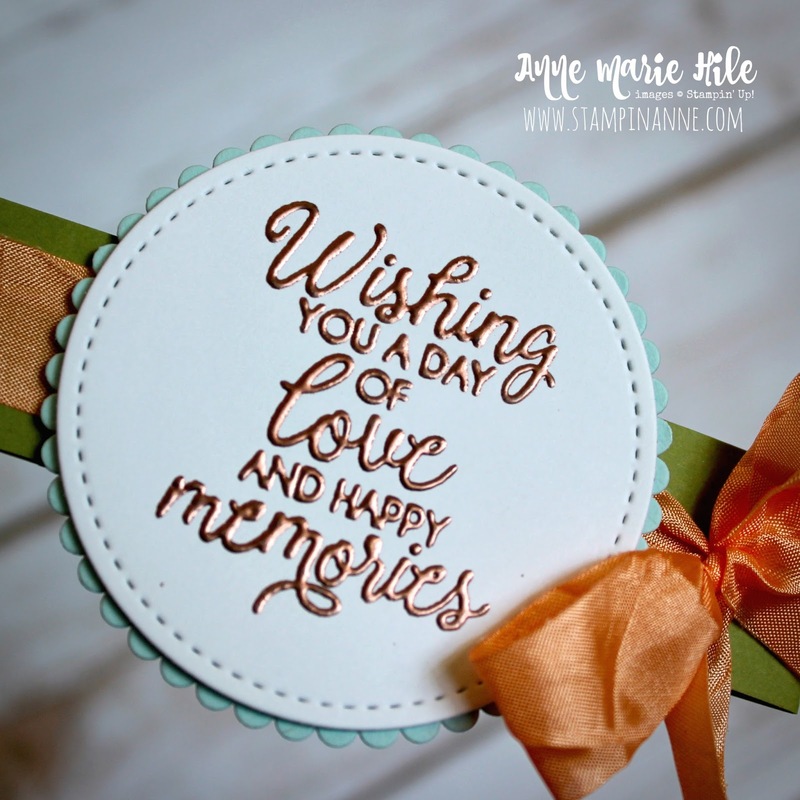 Today I am sharing a card I created for our team blog hop! Chances are you arrived here from my amazing friend and upline Erica Cerwin’s blog. Welcome! 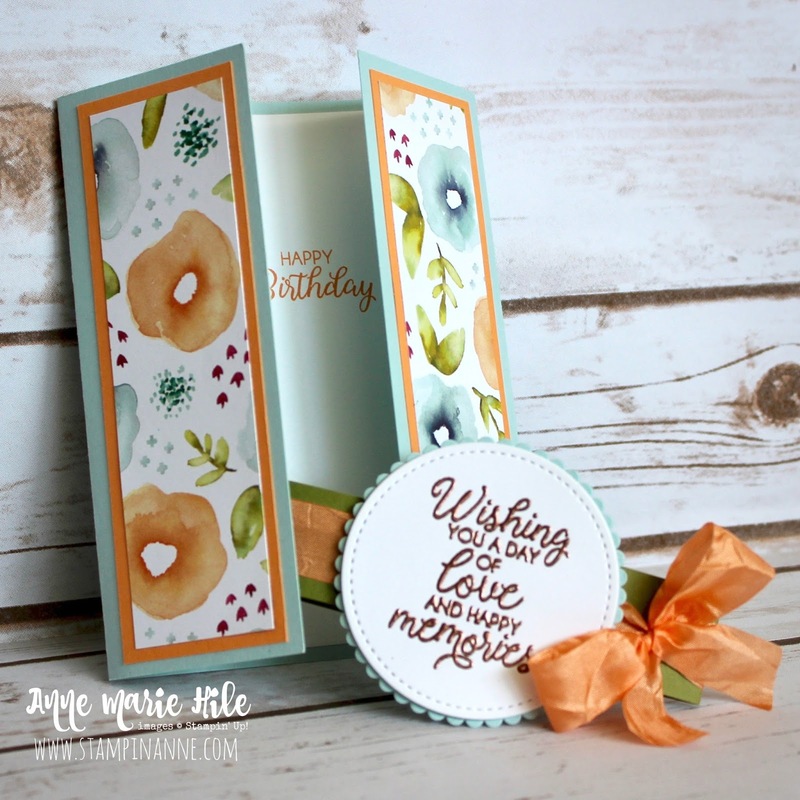 Every month our team, the Sweet Stampede, will be sharing some fun projects and I’m excited to play along this month. 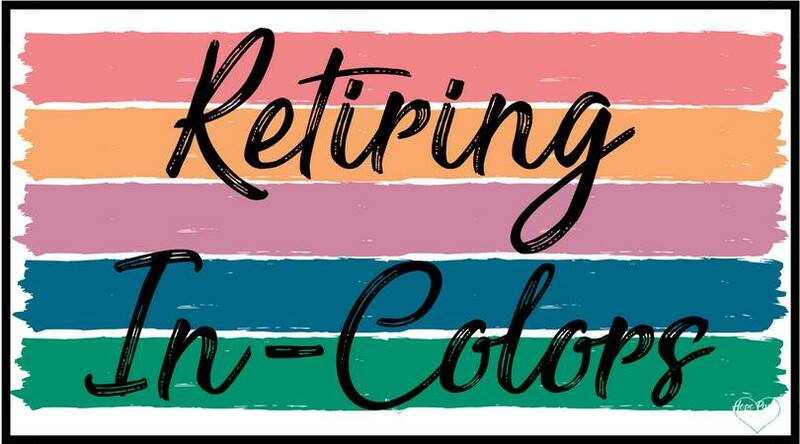 We are focusing on the Retiring In-Colors. Which one is your favorite? 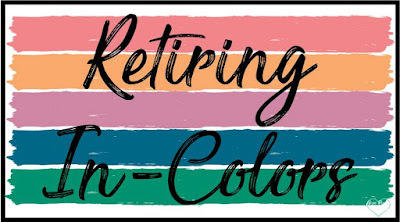 When it comes to my favorite retiring In-Color, it would have to be Peekaboo Peach! It WAS Flirty Flamingo, but now that we know this little gem is going to be hanging around in the new catalog, I went with my second favorite. I also created 10 of these cards for one of our team swaps this month. I made 2 different cards for the swap and will post the other one later this week. On my card, I paired Peekaboo Peach with Soft Sky (another retiring color) and the Naturally Eclectic Designer Series Paper. There are so many awesome prints in this paper, I’m thinking I might want to grab another pack of it before it officially retires. This card has a little “belly band” to keep it closed. Just slide it off and the card pops open. 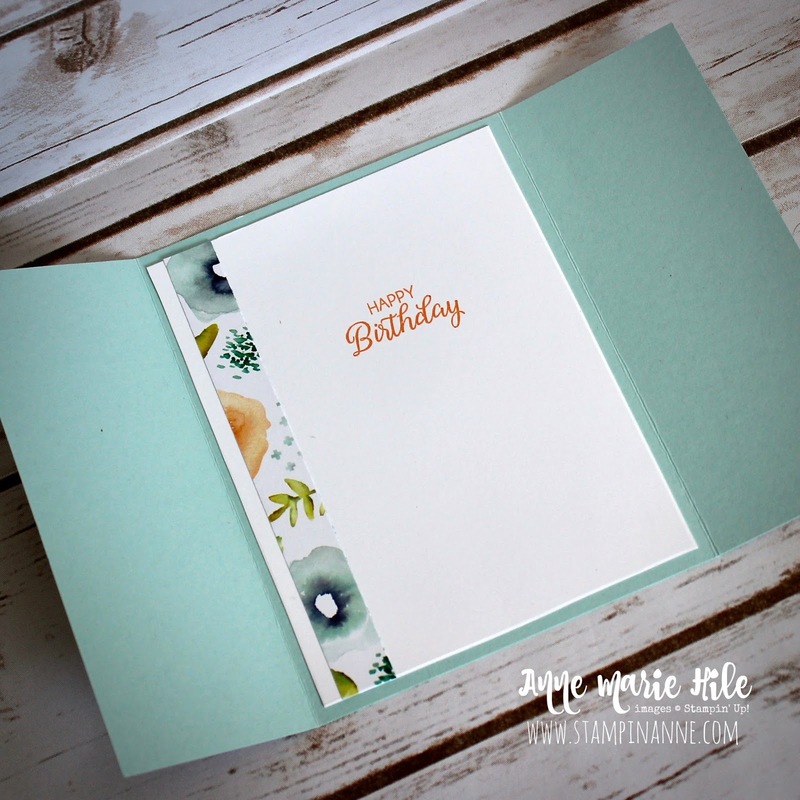 I just love a fun fold card, don’t you? Y’all, can we just have a moment of silence for my favorite retiring product…Peekaboo Peach 5/8” Crinkled Seam Binding Trim. Not only does this trim have a TON of texture and dimension, it ties “like buttah” and that makes it extra special. I know not everyone is going to get that reference, so let’s just say it makes your bows look amazing and super fluffy. 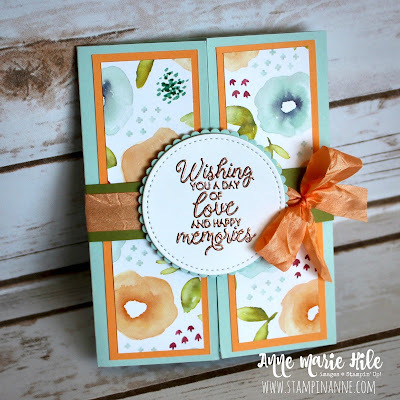 The sentiment from the Beautiful Bouquet stamp set was embossed in Versamark Ink and Copper Embossing Powder. I’s almost like a rustic version of Peek-A-Boo Peach and adds a pop of shine, which I love. I dressed up the inside of the card with a Happy Birthday sentiment, also from the Beautiful Bouquet set and added a little strip of DSP for a “pop” of pattern. Gorgeous! Anne Marie, your card is so feminine. 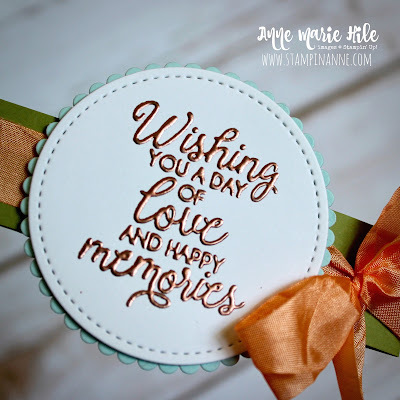 I love the copper embossing which adds just the right touch. And I am a big fan of crinkle-y seam binding. Just beautiful! And I love the added touch of the dsp on the inside! Seriously all those details!!! <3 Amazing as always!! !